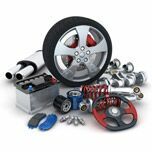 At Continental Motors Group we offer a wide range of auto parts from a variety of different makes. Every one of our dealerships sells the same genuine manufacturer parts that we use in each of our repairs. Pumps, hoses, wipers, brake pads and just about everything down to the lug nuts are all available through Continental. Our online parts form breaks the vehicle down and makes it easy to find exactly what you’re looking for. If you need any questions answered before you submit your order, you are more than welcome to contact one of the experts from our service team. The phone numbers for each location are located below. If you’re getting fed up with spending money on parts for the stubborn fixer-upper that has been sitting in the garage for the last ten years, just remember we offer some of the best auto service and repair in Illinois. We’ll get that engine started for you.